This name uses Spanish naming customs: the first or paternal family name is Arce and the second or maternal family name is Armenta. 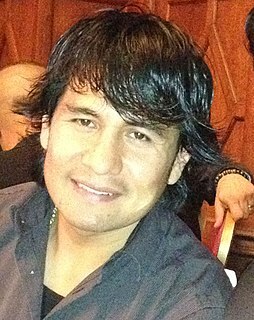 Jorge Armando Arce Armenta ( /ˈɑːrseɪ/ ; born July 27, 1979), best known as Jorge Arce, is a Mexican former professional boxer who competed from 1996 to 2014. He is a multiple-time world champion, and the second boxer from Mexico to win world titles in four weight divisions (after Érik Morales, who first achieved the feat two months prior). In a storied career, Arce held the WBO light flyweight title from 1998 to 1999; the WBC and lineal light flyweight titles from 2002 to 2004; the WBO super flyweight title in 2010; the WBO junior featherweight title in 2011; and the WBO bantamweight title from 2011 to 2012. Additionally he held the WBC interim flyweight title from 2005 to 2006, the WBA interim super flyweight title from 2008 to 2009, and challenged once for the WBC featherweight title in his final fight in 2014. In different sports when a sportsman wins four crowns, titles, medals, belts or another distinctions is called a Quadruple Champion. Érik Isaac Morales Elvira is a Mexican former professional boxer who competed from 1993 to 2012. He is the first Mexican-born boxer in history to win world titles in four different weight classes, having held the WBC super bantamweight title from 1997 to 2000, the WBC featherweight twice between 2001 and 2003, the unified WBC and IBF super featherweight titles in 2004, and the WBC super lightweight title from 2011 to 2012. Arce remains a favorite fighter among boxing fans and is also the older brother of title contender Francisco Arce Armenta. Arce's trademark ring entrance featured him wearing a black cowboy hat (earning him the nickname "The Mexican Cowboy") and sucking a cherry lollipop. Francisco Arce Armenta is a Mexican professional boxer in the Super Bantamweight division. He's a former IBF Latino Super Flyweight champion and was NABF Super Bantamweight Champion. Francisco is also the younger brother of former five-division World boxing Champion Jorge Arce. The cowboy hat is a high-crowned, wide-brimmed hat best known as the defining piece of attire for the North American cowboy. Influenced by 19th century Mexican culture, today it is worn by many people, and is particularly associated with ranch workers in the western and southern United States, western Canada and northern Mexico, with country-western singers and ranchero singers in Mexico, and for participants in the North American rodeo circuit. It is recognized around the world as part of Old West apparel. The shape of a cowboy hat's crown and brim are often modified by the wearer for fashion and to protect against weather. Arce turned pro at the age of 16, winning his first four fights. He lost to future champion Omar Romero and drew with Gabriel Munoz in back-to-back fights in the summer of 1996, but then won 10 straight bouts and a pair of regional belts before losing on points to veteran (and future IBF Light Flyweight Champion) Jose Victor Burgos on December 12, 1997. The International Boxing Federation (IBF) is one of four major organizations recognized by the International Boxing Hall of Fame (IBHOF) which sanction world championship boxing bouts, alongside the World Boxing Association (WBA), World Boxing Council (WBC) and World Boxing Organization (WBO). He recovered from that setback with four straight wins, earning his first world title shot on December 4, 1998 against Juan Domingo Córdoba for the WBO Light Flyweight title. Arce won the fight and became a world champion at the age of 19. After making one successful defense of his title, Arce drew a big-money fight in Tijuana against three-time former champion Michael Carbajal on July 31, 1999. Arce was ahead on all three judges' scorecards after 10 rounds, but in the 11th, the veteran Carbajal connected with a stunning right hand and captured the crown via a technical knockout, as Arce was unable to continue. Tijuana is the largest city of both Baja California State and the Baja Peninsula. It is part of the San Diego–Tijuana transborder urban agglomeration and the larger Southern California megalopolis. 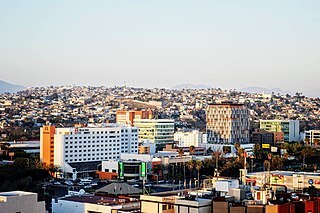 As the 6th-largest city in Mexico and center of the 6th-largest metro area in Mexico, Tijuana exerts a strong influence in education and politics – across Mexico, in transportation, culture and art – across both Californias, and in manufacturing and as a migration hub – across the North American continent. Currently one of the fastest-growing metropolitan areas in Mexico, Tijuana maintains global city status. As of 2015, the city of Tijuana had a population of 1,641,570. Michael Carbajal is an American five-time world boxing champion of Mexican descent. His nickname was "Little Hands Of Stone," after his favorite boxer,"Hands Of Stone" Roberto Durán. After a four-month layoff, Arce returned to the ring and won a WBO regional belt as he scored 7 consecutive wins while working his way back up the rankings for another title shot. That came on October 20, 2001, when he defeated Juanito Rubillar for the Interim WBC version of the Light Flyweight title. Nine months later, he beat Yo-Sam Choi, the reigning Lineal and WBC light flyweight champion who had been out with an injury, to take full distinction. He held the title until the summer of 2005 before relinquishing it to move up in weight. In his first defense, he defeated Augustin Lara. In 2003, he successfully defended his title three times against Ernesto Castro, Lee Marvin Sandoval, and Melchor Cob Castro. Juanito Rubillar is a Filipino professional boxer and current WBC Continental Americas light flyweight champions. An interim championship is an alternate title that is awarded by the four major sanctioning bodies of professional boxing, and in other combat sports such as kickboxing and mixed martial arts. The World Boxing Council (WBC) is one of four major organizations which sanction world championship boxing bouts, alongside the International Boxing Federation (IBF), World Boxing Association (WBA) and World Boxing Organization (WBO). Many historically high-profile bouts have been sanctioned by the organization with various legendary fighters having been recognised as WBC World champions. All four organizations recognise the legitimacy of each other, and each have interwoven histories dating back several decades. Towards the end of 2003, he participated in the Televisa version of Big Brother, the Big Brother V.I.P. 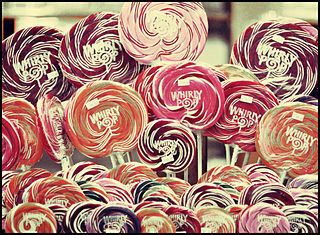 show that put celebrities together. He arrived in third place, then went training for his next defense, against former world champion Joma Gamboa on January 10 of the following year. Arce invited his Big Brother celebrity friends to the fight with Gamboa, his first fight of 2004, which he won by a second-round knockout. But during and after the fight, chaos ensued. One of his friends, actress Arleth Gonzalez, was kicked off her chair by another person. And Verónica Castro was pursued by the press when she was trying to leave the fight site, taking her more than two hours to get to the site's parking lot. On April 24, 2004, Arce successfully defended his title in a rematch against former champ Melchor Cob Castro in Tuxtla Gutiérrez, Chiapas. Arce had beaten Castro in May 2003, but the fight was called off after six rounds due to a clash of heads which injured Arce. The fight went to the scorecards and Arce won a narrow, but controversial, decision. He left no doubt in the rematch, knocking Castro out in the fifth round. On September 4 of that same year, he retained the title with a twelve-round decision in a rematch with Rubillar. The fight caused some controversy afterwards, when Rubillar's manager accused the fight's judges of robbing his fighter, going on to offer Arce 100,000 US$ for a rematch, which would be held in the Philippines. Arce moved on to defend his title for a seventh time on December 18, defeating Juan Centeno by a third-round TKO. He then decided to try his luck in the flyweight (112-pound) weight division. On March 19, 2005, Arce stopped Hussein Hussein in the 10th round of a fight for the right to challenge Pongsaklek Wonjongkam for his WBC Flyweight title. He later relinquished his light flyweight crown and was matched by the WBC with Angel Priolo on July 30 for their interim title after Wonjongkam suffered an injury. Arce scored a third-round TKO win in the fight, held in La Paz, Mexico. While waiting to fight Wongjongkam, Arce stayed busy by rematching Hussein on October 8 in Las Vegas. He retained his Interim WBC title with a second-round knockout. On December 16, 2005, Arce defeated former two-time champion Adonis Rivas by 10th round tko. In his next bout, Arce defeated Rivas in a rematch. On April 8, 2006, Arce took on the well regarded, former WBA Minimumweight and Light Flyweight Champion Rosendo Alvarez of Nicaragua, knocking Alvarez out in the sixth round. It was the 4th successful defense of his Interim Flyweight title. On September 23, 2006, he moved up to the super flyweight division where he defeated former Light Flyweight Champion Masibulele "Hawk" Makepula by fourth-round knockout (which, according to the HBO commentators, he had predicted earlier). On January 27, 2007, he defeated Argentinian Julio Ler in a 12-round decision, thus earning the WBC #1 super-flyweight ranking. On April 14, 2007, he lost a 12-round unanimous decision to WBC Super Flyweight Champion Cristian Mijares in San Antonio, Texas. Mijares won the fight by a wide margin, with the official judges scoring the match 119–109, 118–110, 117–111, all in favor of Mijares. Arce rebounded from the loss by defeating future champion Tomás Rojas by 6th-round technical knockout. On December 1, 2007, Arce defeated former Flyweight Champion Medgoen Singsurat by technical knockout in the first round. On May 17, 2008, in a very close fight, Arce (49–4–1, 37 KOs) edged Devid Lookmahanak of Thailand (18–2, 9 KOs) with a majority decision in the main event at the Plaza Monumental Aguascalientes in Aguascalientes, Mexico. With a sold-out crowd of 18,000 fans cheering him on, Arce had to dig deep and work hard to pull past the once-beaten Lookmahanak, who turned out to be a very game southpaw and rarely took a step back. The difference in the fight, which also gave Arce the win, was a knockdown in the seventh round. The scores were 115–113, 115–114 and 114–114. Without the extra point for the knockdown, the fight would have been scored a draw. The bout was an eliminator for a shot at the WBC Super Flyweight title. Arce moves on to a rematch with Cristian Mijares, who earlier captured the WBA's version of the title with a points win over Alexander Munoz. On September 15, 2008, Arce won the Interim WBA Super Flyweight title from holder Rafael Concepción. On February 7, 2009, Arce was defeated by Undisputed Super Flyweight Champion Vic Darchinyan. Arce fought Simphiwe Nongqayi on September 15, 2009 for the IBF Super Flyweight title which was recently vacated by Darchinyan. However, he ended losing by unanimous decision. Arce defeated Indonesian Angky Angkota on January 30, 2010, winning the vacant WBO Super Flyweight title. Prior to the bout, Arce stated that he would retire from boxing if he would have lost. On April 24, 2010, Arce jumped to the bantamweight division to fight fellow Mexican Cecilio Santos (24–13–3; 14 KO) at the Centro de Usos Multiples in Ciudad Obregon, Sonora, Mexico. Arce defeated his opponent by KO in the 7th round, improving his record to 54–6–1. This was not his first fight as a bantamweight: he already fought once in the weight class in 2007. Arce was scheduled to fight Eric Morel (42–2; 21 KO) of Puerto Rico on June 26, 2010 at the Alamodome in San Antonio, Texas, United States with the Interim WBO Bantamweight title at stake. The Los Mochis native withdrew from the fight a few weeks in advance due to a cut he received while in training. In his next fight, on July 31, 2010, Arce took on fellow Mexican and former champion Martín "El Gallo" Castillo at the Palenque de la Feria in Tepic, Nayarit, Mexico. The Los Mochis native won the bout by KO in the first round. On December 15, 2012, Arce fought Nonito Donaire. Arce suffered a defeat on the third round via knockout. After losing to Donaire, Arce announced his retirement. Arce has gained some popularity outside the ring as well, acting in various Televisa comedy sketches, and participating in Adal Ramones's show's dancing contest, "Bailando por un Sueño", where he and a fellow contestant arrived in eighth place out of nine couples. He has also done boxing commentary for TV Azteca. 50 Win 46–3–1 Julio David Roque Ler UD 12 Jan 27, 2007 Honda Center, Anaheim, California, U.S.
49 Win 45–3–1 Masibulele Makepula TKO 4 (12), 1:00 Sep 23, 2006 Dodge Arena, Hidalgo, Texas, U.S.
43 Win 39–3–1 Hussein Hussein TKO 10 (12), 2:07 Mar 19, 2005 MGM Grand Garden Arena, Paradise, Nevada, U.S.
37 Win 33–3–1 Lee Marvin Sandoval TKO 2 (10), 2:43 Mar 21, 2003 Desert Diamond Casino, Tucson, Arizona, U.S.
33 Win 29–3–1 Ramon Jose Hurtado KO 2 (10), 1:00 Jun 7, 2002 Eldorado Resort Casino, Reno, Nevada, U.S.
28 Win 24–3–1 Alfredo Virgen TKO 5 (10), 0:36 Oct 1, 2000 Celebrity Theatre, Phoenix, Arizona, U.S.
Ricardo “El Finito” López Nava is a retired undefeated Mexican professional boxer. As a professional, he defended the Lineal and WBC Strawweight Championship a record 21 times. He also won the WBA and WBO Championships in the same weight class. López later won the IBF Light Flyweight Championship and defended it twice before retiring. He is one of just fifteen world boxing champions to retire without a loss. He is also the father of undefeated flyweight prospect Alonso López. Vakhtang "Vic" Darchinyan is an Armenian professional boxer. He is a former world champion in two weight classes, having held the IBF flyweight title from 2004 to 2007; and the unified WBA (Super), WBC, IBF, and lineal super-flyweight titles between 2008 and 2010. Additionally, he has held a record four IBO titles at flyweight, super-flyweight, and twice at bantamweight between 2005 and 2011. A southpaw boxer with a highly unique fighting style and formidable punching power, Darchinyan became the first Armenian to win a world title in 2004. Gilberto Román was a Mexican boxer in the Super Flyweight division and a member of the 1980 Mexican Olympic team. Román was a two-time WBC and Lineal Super Flyweight Champion and is considered by many fans to be one of the great champions in this division. Gilberto was trained by Boxing Hall of Famer Ignacio Beristáin. Kōki Kameda is a Japanese former professional boxer who competed from 2003 to 2015. He is a three-weight world champion, having held the WBA light-flyweight title from 2006 to 2007, the WBC and lineal flyweight titles from 2009 to 2010, and the WBA (Regular) bantamweight title twice between 2010 and 2013. His younger brothers, Daiki and Tomoki, are also professional boxers. 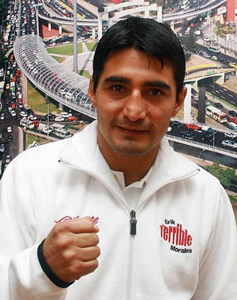 Fernando Montiel Martínez is a Mexican professional boxer. He is a multiple-time former world champion in three weight classes, having held the WBO flyweight title from 2001 to 2002, the WBO junior bantamweight title twice between 2002 and 2008, and the unified WBC and WBO bantamweight titles from 2010 to 2011. Hugo Fidel Cázares is a southpaw professional boxer in the Super flyweight division. He is the former WBA Super Flyweight champion, WBO and Lineal Light Flyweight champion. His record is 35-7-2. Cristian Ricardo Lucio Mijares is a retired Mexican professional boxer. Mijares is the former WBC, WBA, and IBF Super Flyweight Champion. Cristian is the older brother of prospect Ricardo Mijares and the nephew of world title contender Vicente Mijares. Katsushige Kawashima is a Japanese retired professional boxer who fought in the super flyweight division. He is a former WBC and lineal super flyweight champion. Rosendo José Álvarez Hernández is a flyweight boxer, and is well known for giving Mexican legend Ricardo López two tough fights. He is the only person to hold the undefeated strawweight champion to a draw. Nana Yaw Konadu Yeboah is a retired boxer who won World titles in two different weight divisions. Nonito Gonzales Donaire Jr. is a Filipino-American professional boxer. He has held multiple world championships in four weight classes, including the WBA (Super) bantamweight title since 2018; previously he held the IBF flyweight title from 2007 to 2009, the unified WBC and WBO bantamweight titles in 2011, the IBF super bantamweight title in 2012, the WBO super bantamweight title twice between 2012 and 2016, and the WBA (Undisputed) featherweight title in 2014. Gerónimo "Gerry" Peñalosa is a Filipino former professional boxer who competed from 1989 to 2010. He is a two-weight world champion, having held the WBC and lineal super flyweight titles from 1997 to 1998, and the WBO bantamweight title from 2007 to 2009. Originally from San Carlos City, Peñalosa currently resides in Manila. He was trained mainly by Freddie Roach, and went on to become a boxing trainer himself after retirement. Peñalosa's older brother, Dodie Boy Peñalosa, is also a former boxer and world champion. Moon Sung-kil is a former two-division world champion boxer from South Korea. His name is also rendered Sung Kil Moon. Choi Yo-sam was a Korean world boxing champion. He was born in Jeongeup, Jeollabukdo, South Korea. Giovani Segura Aguilar is a Mexican professional boxer. He is a former WBA, WBO, Lineal and The Ring magazine light flyweight champion. ↑ Francisco Arce – Boxrec Boxing Encyclopaedia. Boxrec.com. Retrieved on 2012-06-10. ↑ "Jorge Arce - Lineal Jr. Flyweight Champion". The Cyber Boxing Zone Encyclopedia. ↑ afp.google.com, Donaire stops Mthalane to keep IBF flyweight title Archived February 16, 2009, at the Wayback Machine .. Afp.google.com (2008-11-01). Retrieved on 2012-06-10. ↑ "Angky Angkotta vs Jorge Arce". Boxstat.co. Retrieved 25 April 2017. ↑ Jorge “Travieso” Arce no le teme ni al “demonio”. Primerahora.com. Retrieved on 2012-06-10. ↑ El Travieso Arce le quitó el título a Vázquez Jr. – ESPN Deportes Archived May 10, 2011, at the Wayback Machine .. Espndeportes.espn.go.com (2008-01-01). Retrieved on 2012-06-10.